Over the weekend, classic rock and early heavy metal legends Black Sabbath announced that their next album would come out in June. The album, titled 13, is produced by Rick Rubin, famed for his work ranging from the Beastie Boys to Metallica. Also announced this weekend was Black Sabbath’s studio drummer; Rage Against The Machine‘s Brad Wilk will sit on the throne for the album. I’m not sure how Wilk’s hip hop influenced, laid back style will groove with Sabbath, but time will tell. Former drummer Bill Ward quit after months of venting his frustrations publicly. 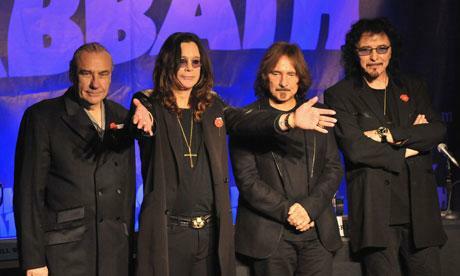 13 is the first Black Sabbath album to feature Ozzy Osborne since 1978.